The First Degree Newport is at the lower end of this brand's price range. 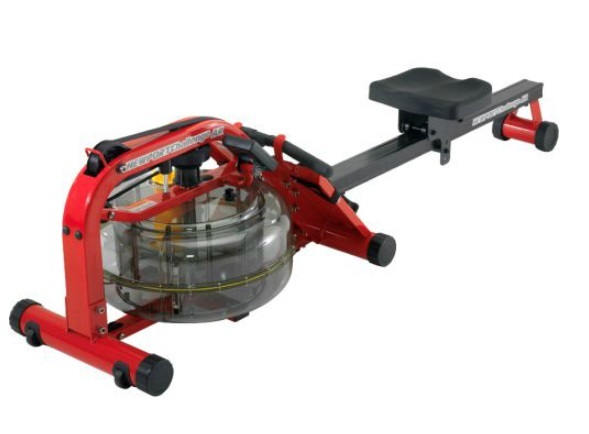 First Degree have established themselves as a quality maker of fluid rowing machines and enjoy a growing share of the highly competitive commercial market. So should this model be on your list of potential buys? In short, yes - we definitely think you should. 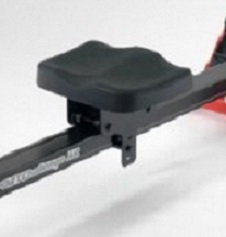 It has many of the features of their commercial rowers at a very reasonable price. However, it doesn't look as stylish as the Vortex or Evolution machines, in fact at best you could describe its looks as... well... functional. 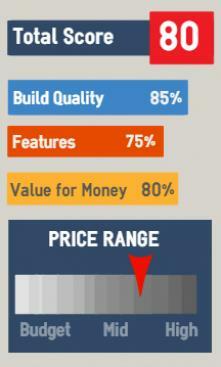 But if function is what you're looking for, then this will certainly deliver. Some may not be swayed by the red frame, but this is a quality built machine and will last for years and take some punishment without complaining. It's one of First Degree's light models, weighing in at just 60 lbs (up to 68 when the tank is filled). 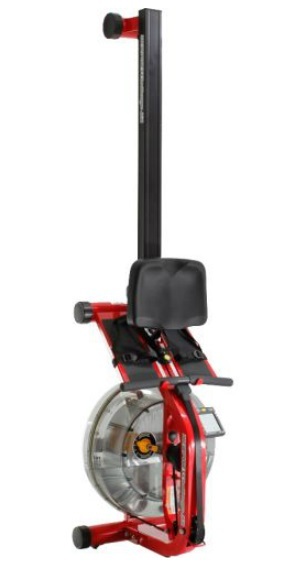 But despite the lighter weight it will still handle a user of up to 300 lbs and feels solid when in full flow with the added benefit that it's easy to lift and move. It has transport wheels and store vertically and takes up minimal space when not in use. It's not too difficult to assemble if you have some experience of putting together flat-pack furniture for example. But you can always get someone to help and it's something you only have to do once. The tough water tank is durable and doesn't appear to suffer from leakage, even after 3 years - something that a number of our WaterRower reviewers have reported with their models. The other innovation First Degree have brought to the market is the two chamber water tank. 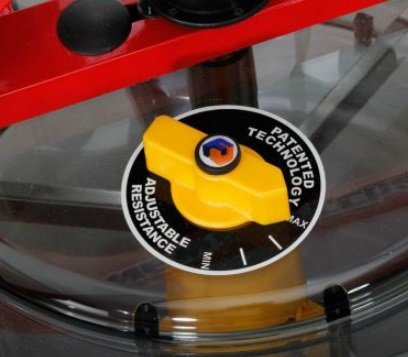 This means you can change resistance levels by using a valve - see photo to the right - to move water from one to the other without having to drain or re-fill the water level.It took us a while to figure out that the AR in the model name actually means 'adjustable resistance' - DOH! However, this has to be done manually and not as part of a pre-set program that's possible with a magnetic resistance model. The display is large and easily read when working out. It displays all of the workout data you need to know and has a USB port so you can download your performance to your PC. Software available from First Degree's website will let you view your progress overtime which is a great way to stay motivated. It's self-explanatory and requires minimal knowledge to operate. 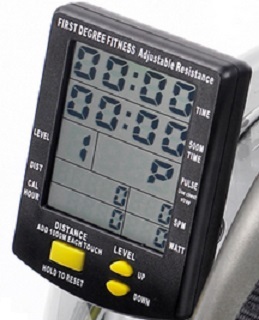 However, there are no pre-set programs with this monitor - if you want these, you'll need to look at magnetic rowers, or be prepared to spend a few hundred dollars more. Looks workmanlike - not a stylish model like the rest of their range. 78" x 21" x 20"
If this price is a little over your budget you could check out another of First Degree's models, the Neptune. Or if your budget is tight, the Stamina Wave is a good option. For a little more, WaterRower's Natural is more pleasing to the eye and offers an excellent rowing experience. A worthy alternative would be the air resistance Concept2 Model D.